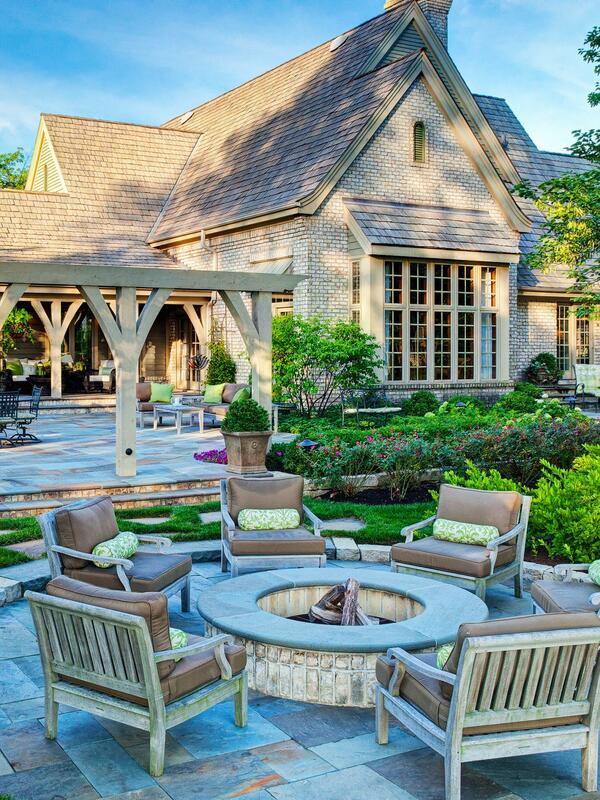 With summer upon us, it’s time to start breaking out the patio furniture and fire up the BBQ. It’s that coveted time of year when the days are longer and the nights are warmer. Of course, most of us wish we could just stay outside and enjoy the limited time we have. So, why can’t we? What are some ways you can decorate your porch or backyard to make it more of a living space, an extension of your home? How can you make the exterior just as comfy, or more, than the interior? These summer porch decorating ideas and tips are sure to spark some inspiration! There’s tons of empty, unused space on a porch or backyard area for adding decor. You just need to look for it. Play up the environment around you and use some tropical touches like fabric patterns, hanging plants, a table centerpiece, etc. Add a touch of texture with rattan and wood elements, too. 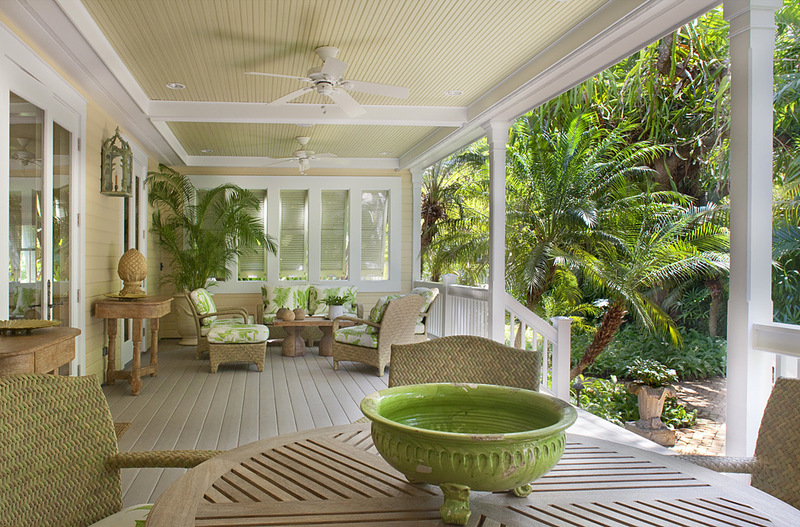 Think of your porch as the dividing line between your interior and exterior and they have to coexist perfectly. Don’t be afraid to fill your space, especially when it comes to bold, tropical décor! 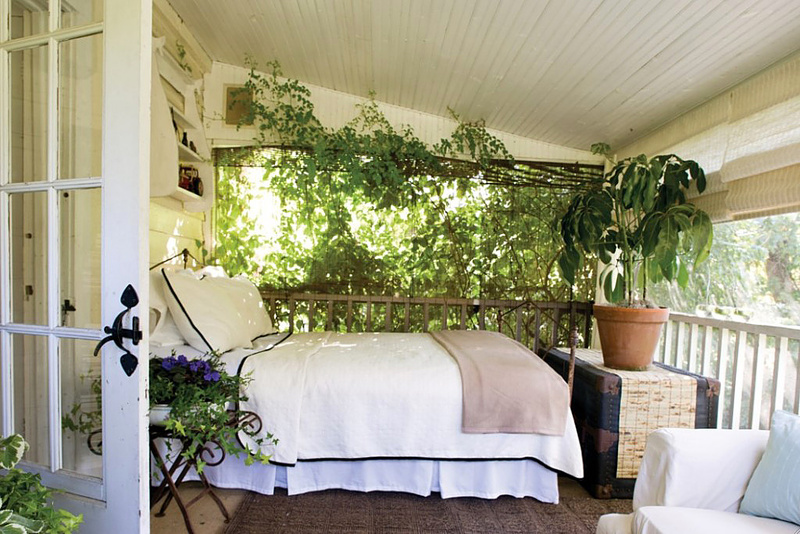 Swing your summer away in a comfy hammock; one of our favorite summer porch ideas! You really can’t go wrong with adding a swinging lounger to your porch or backyard layout. Plus, you’re sure to enjoy those warm summer afternoons with a book far more than being cooped up inside. They come in all sorts of colors, so you can customize it to match your personal tastes. Have some fun and take the opportunity to show your creative side. 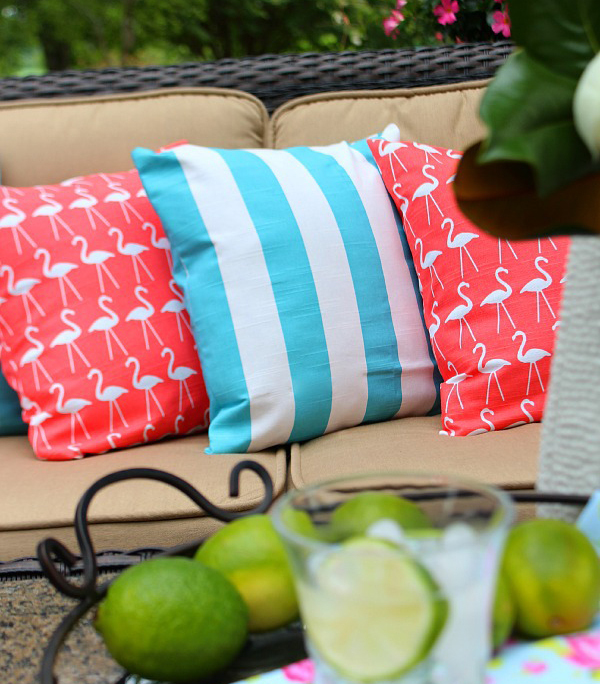 Brighten up the outdoor area with comfy pillows that have bold prints and colors. The world loves flamingos, strips, and tropical colors right now and we can see why! The tiny details and luscious colors can easily transform a boring porch into a fun, summer getaway. If you can find it on the beach, it makes great décor items! Everything from seashells, coral, driftwood, and starfish. 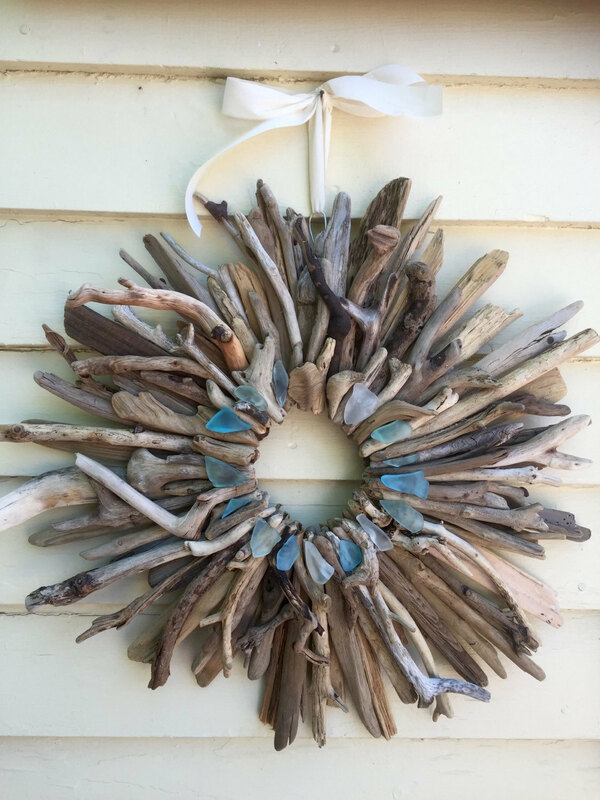 Create gorgeous, seaside wreaths or fill a glass bowl with shells and use as a centerpiece. There’s nothing more calming and serene than the sea, so why not bring it close to your home? Break out that glue gun and create some one-of-a-kind décor for your summer porch. Much like the seaside look, the nautical trend is very pleasing, too. 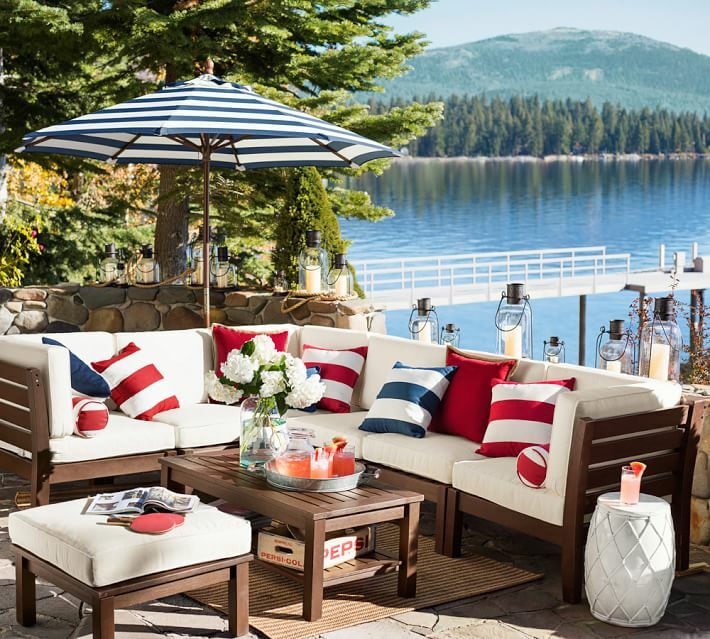 Bold, solid colors of navy, red and white are the perfect combination to create a nautical setting on your porch. 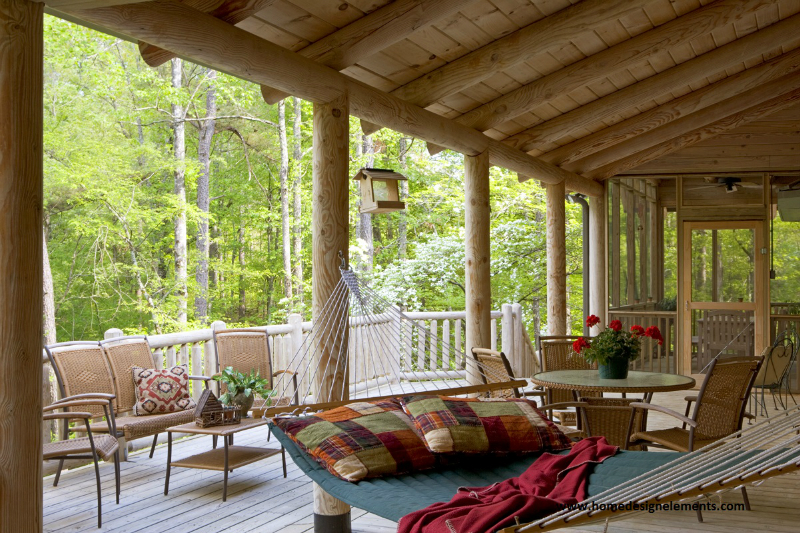 The addition of strips, wood, and rope to your summer porch design is just the icing on the cake. Take it one step further and play with some prints of anchors and fish, make it your own! If you are fans of the classic summer look, this is the way to go! 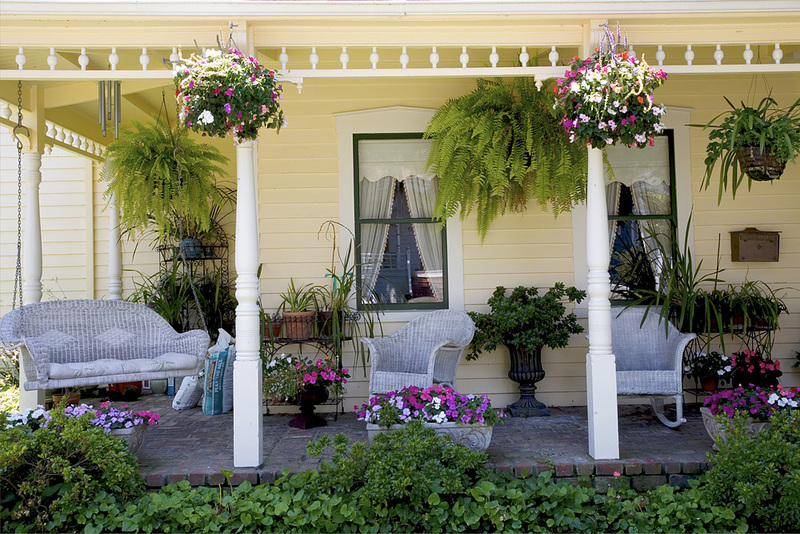 When picking the best front porch decorating ideas for summer, it’s no secret that adding plants and flowers to your outdoor space is a great way to brighten it up. But most people find that their gorgeous flowers dry up in the sun, or have short life spans. Well, you can avoid that problem by knowing which plants and flowers thrive in the heat but will also look stunning. Angel’s Trumpet, Agave plants, Angelonia, and bamboo are just a few that can fill your porch with green, whites, and purples. A lot of the plant and flowers that thrive in the heat have double uses as being edible or great for skin care, too. In areas with warm and dry climates, consider setting up an entire bedroom scene on your porch. If you have the privacy and space to do it, then why not? Just imagine spending those hot summer afternoons, lying in bed with a good book and a drink next to you. All the while, the sun beaming down and the fresh air filling your lungs. With the use of outdoor fabrics and a quality air mattress, you could pull this idea off in just about any climate. Now you know where you’re taking that afternoon nap this summer, right? 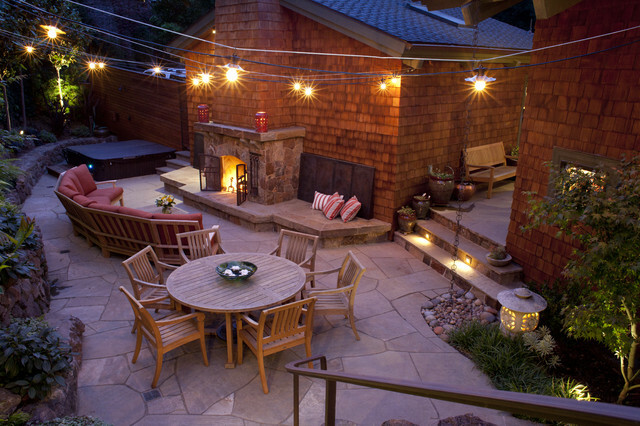 String lights have so many uses and can really transform an outdoor space which makes them one of our recommended summer porch decorating ideas. The fact that they are available in cordless, solar powered models is also a plus as it opens up the possibly of where to hang them. Dangle them in the trees above your deck, wrap the lights around railings and tree trunks, string them overhead to illuminate the outdoor area and create a magical place to enjoy your warm summer evenings. This can also help spice up summer events and gatherings. Having a nifty fire pit in your backyard is great, and so is surrounding it with seating so you can gather around and enjoy the flames. But why not create a fire pit that doubles as a table surface? You could spend evening after evening, cooking up your favorite summer meals and sit around the fire to eat and enjoy them. A fire pit table combo is the perfect way to extend your time outside this summer, take advantage of it!